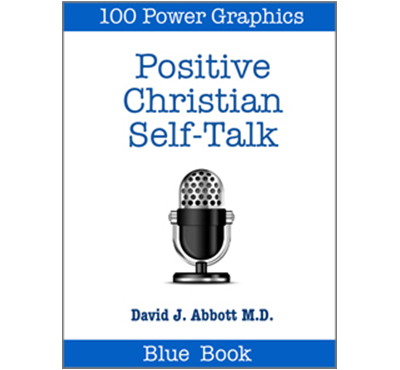 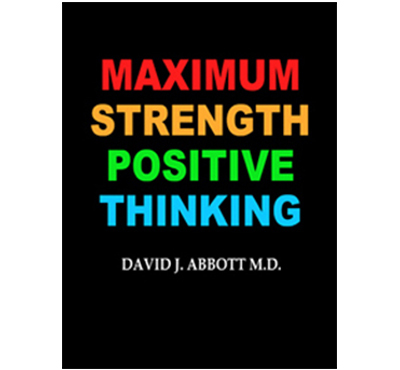 POSITIVE ZINE - ALL THINGS ARE POSSIBLE TO HIM WHO BELIEVES - POSITIVE THINKING DOCTOR - DAVID J. ABBOTT M.D. 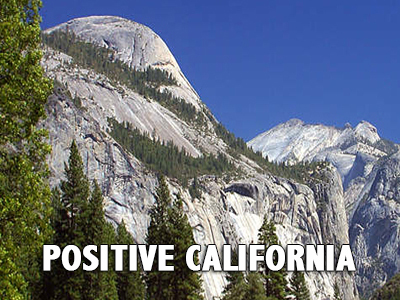 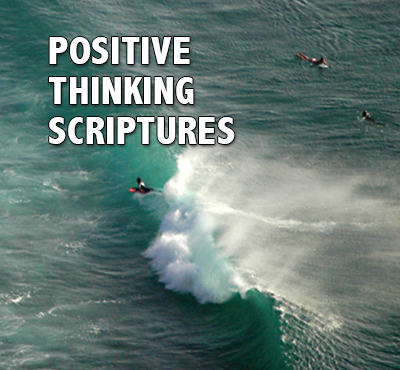 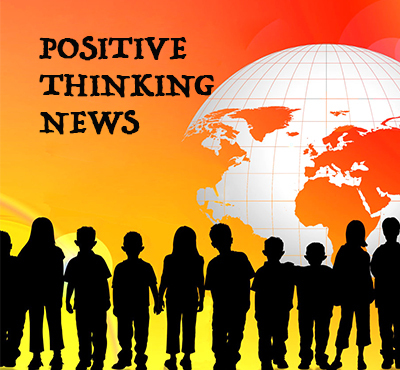 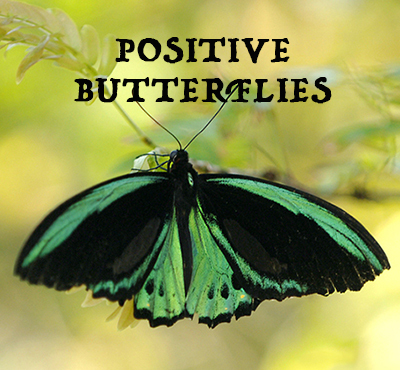 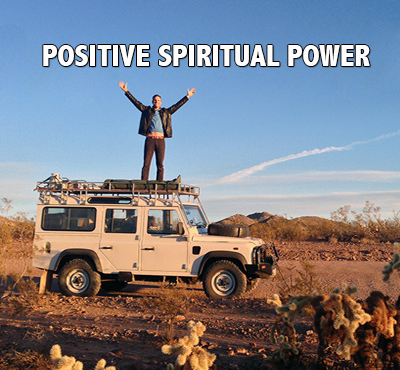 PositiveZine has hundreds of life-changing articles and podcasts. 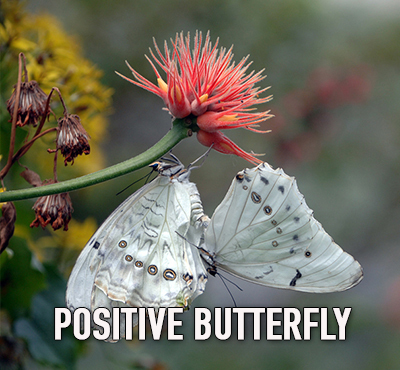 There is something positive for everyone. 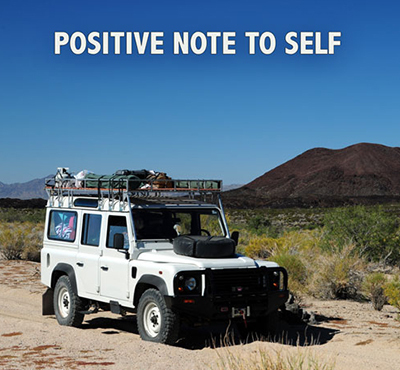 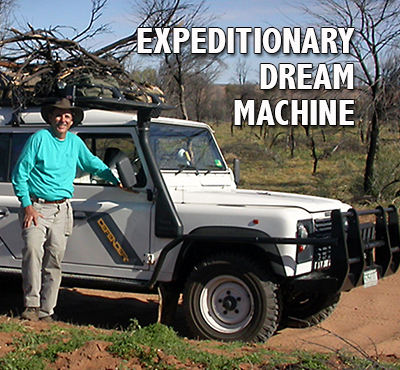 If you are interested in positive adventure, you can visit Overland Uni, Sailing Uni, Maxing Out, and Outback and Beyond. 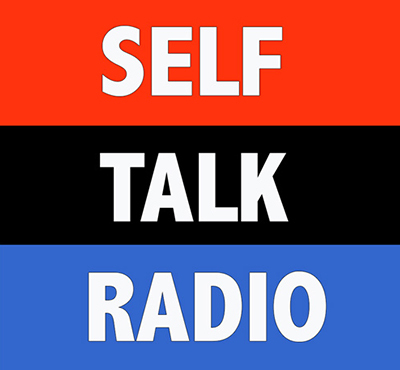 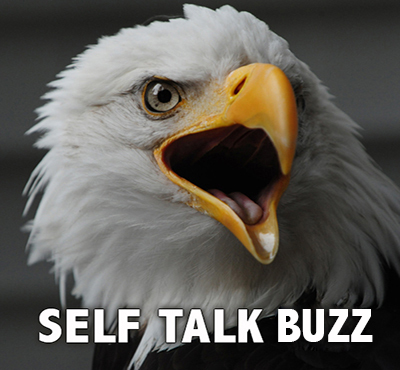 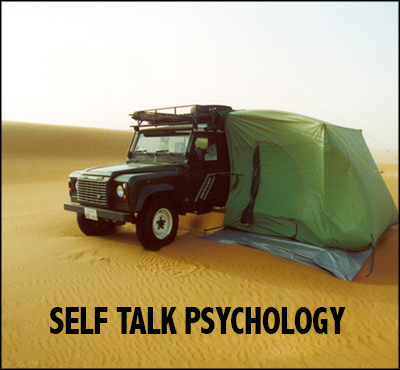 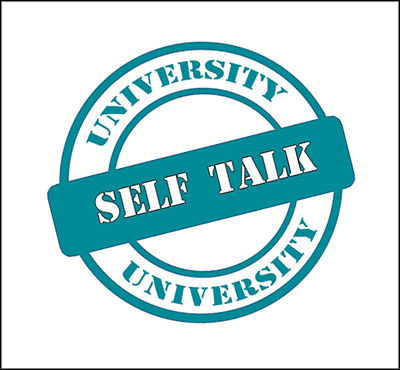 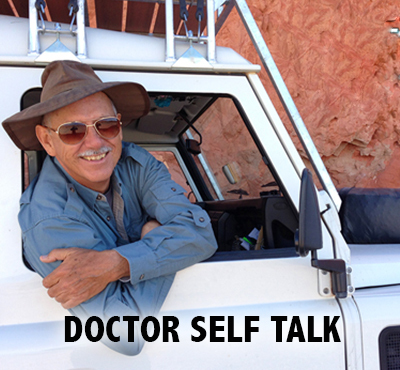 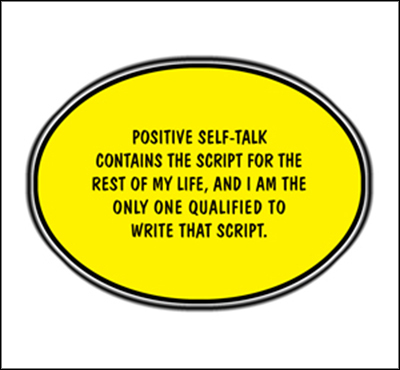 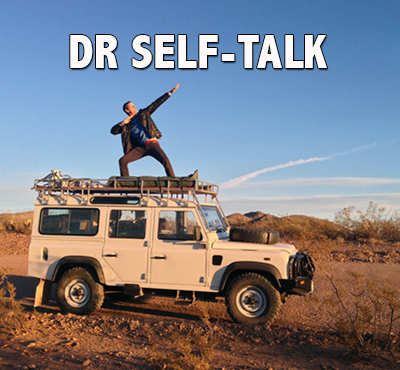 If positive self-talk is your thing, visit Positive Self Talk, Self Talk University, and Self Talk Uni. 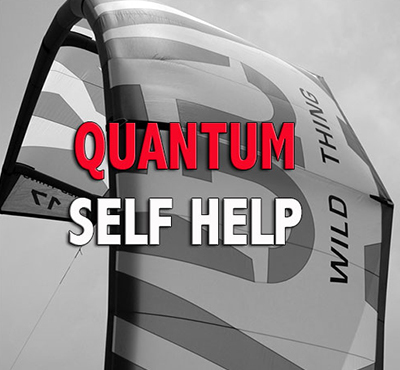 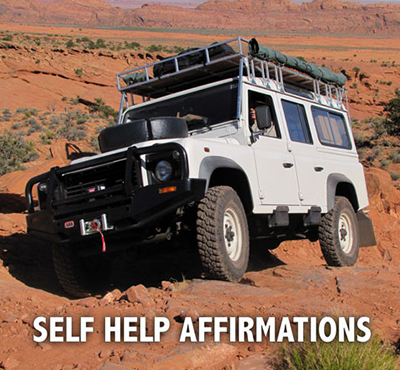 If self-help is your passion, visit Self Help Uni, Quantum Self Help, Self Help Daktari, and Self Help Affirmations. 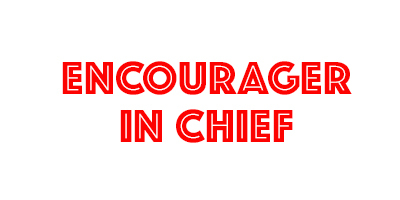 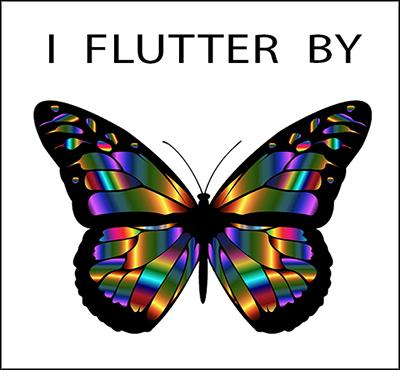 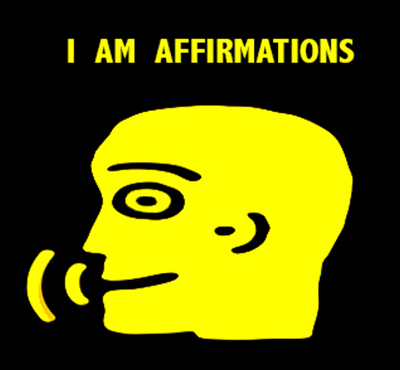 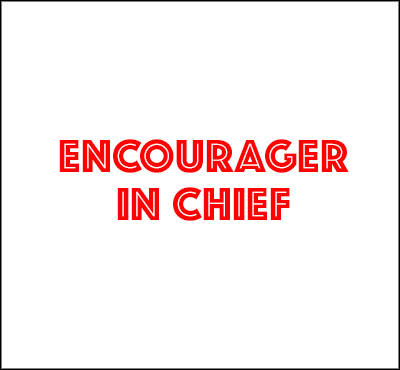 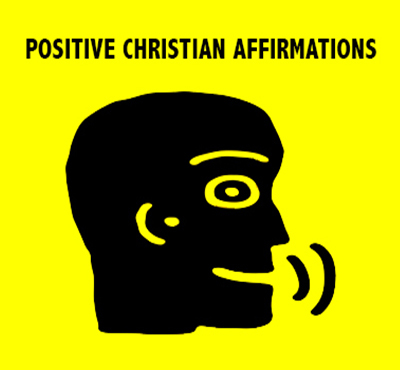 If positive affirmations light your fire, visit Positive Christian Affirmations, I Am Affirmations, and I Affirm Therefore I Am. 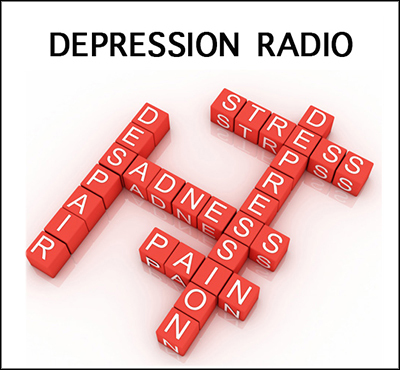 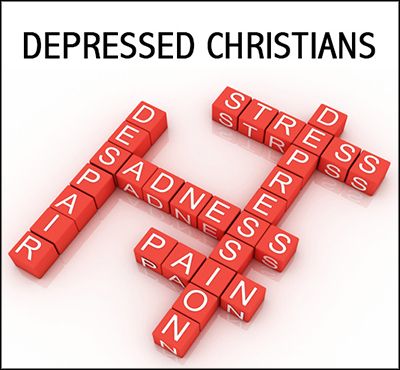 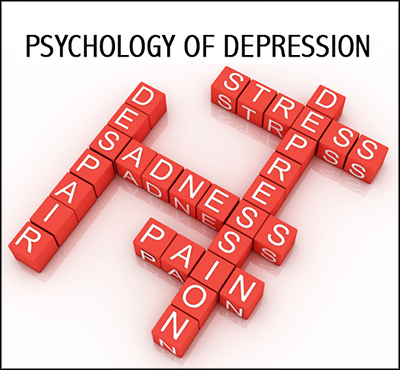 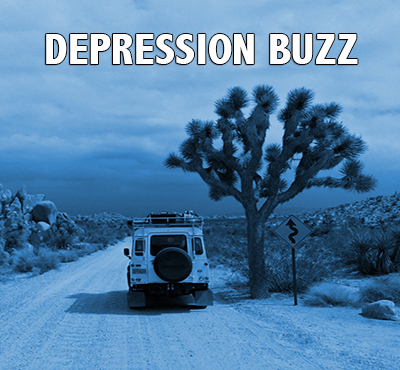 If you want help winning the battle against depression, visit Depression Uni, Depressed Christians, Christians and Depression, and Depression Affirmations. 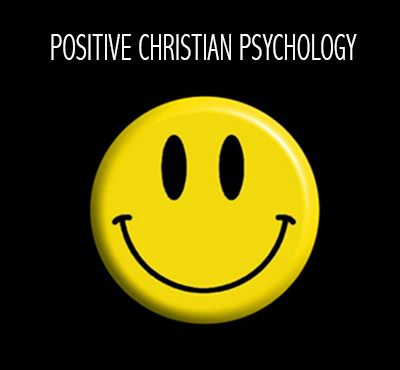 If positive psychology is your holy grail, visit Positive Thinking Psychology and Positive Christian Psychology. 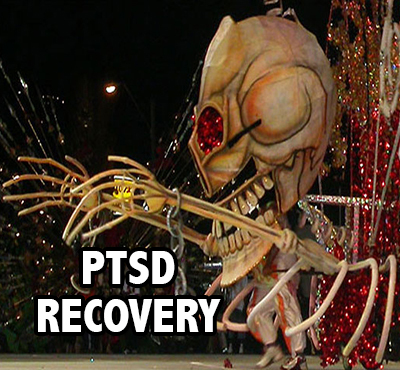 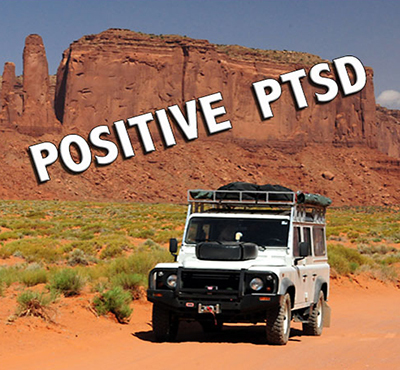 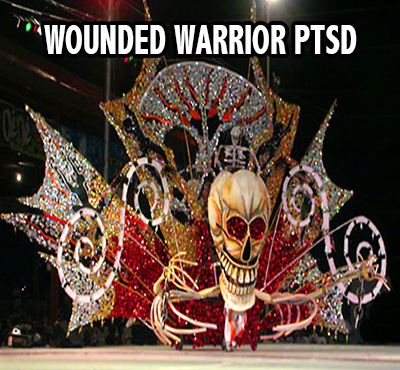 If you struggle with PTSD, visit Positive PTSD, Wounded Warrior PTSD, and Post Traumatic Stress Disorder Recovery. 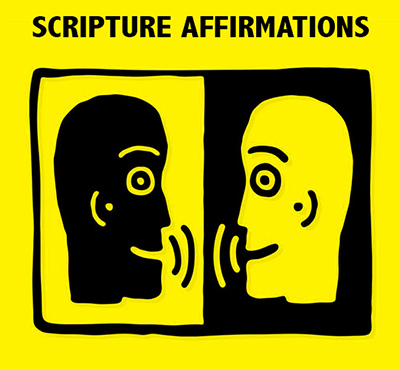 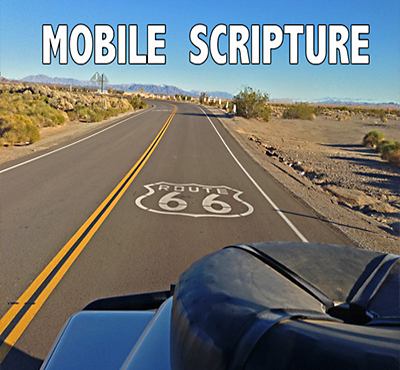 If you want to fill your mind with positive scriptures, visit Positive Scriptures, Positive Thinking Scriptures, Positive Christian Scriptures, and Scripture Self Talk. 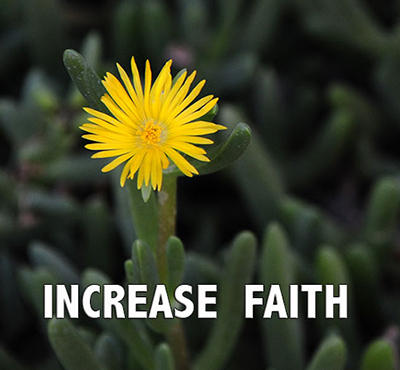 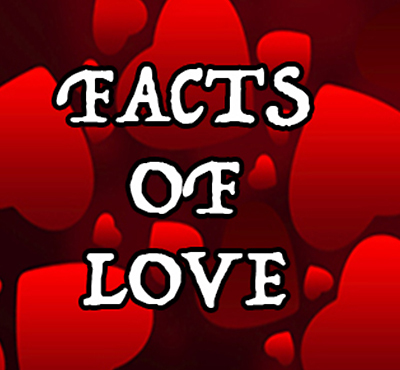 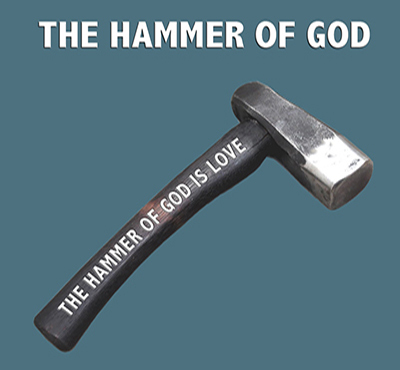 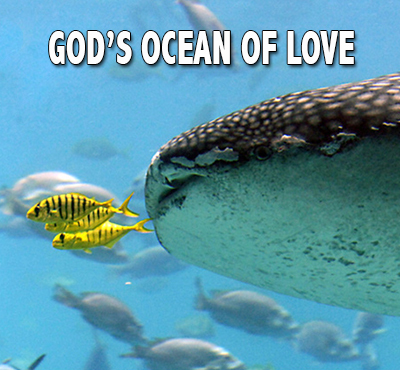 If want to grow spiritually, visit God Loves U, Facts of Love, God's Ocean of Love, Increase Faith, and The Hammer of God. 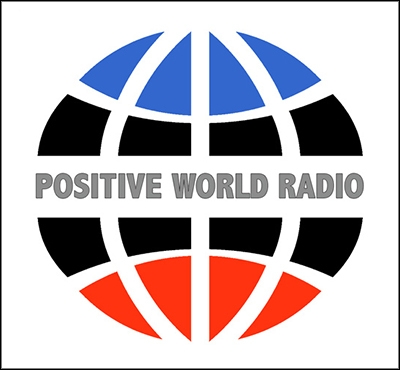 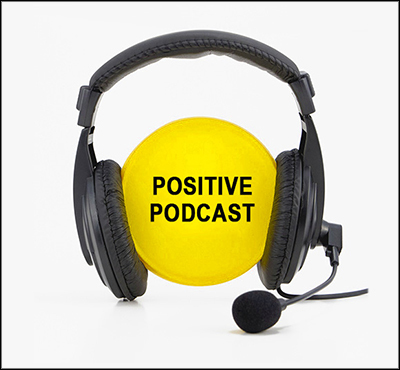 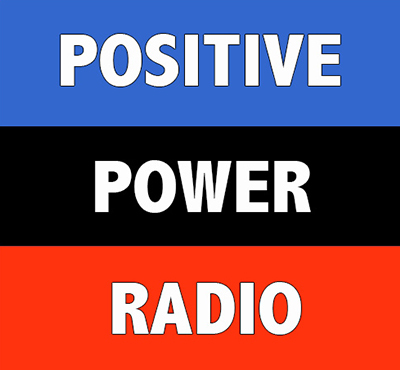 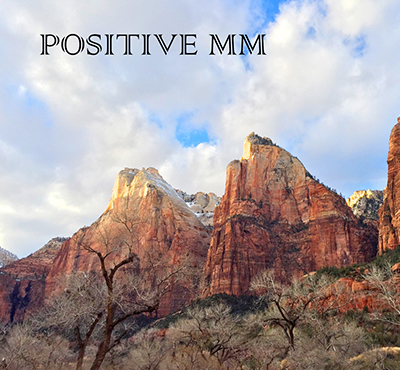 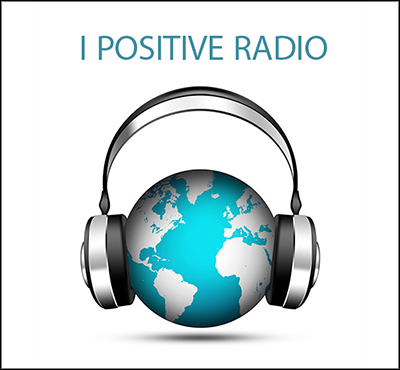 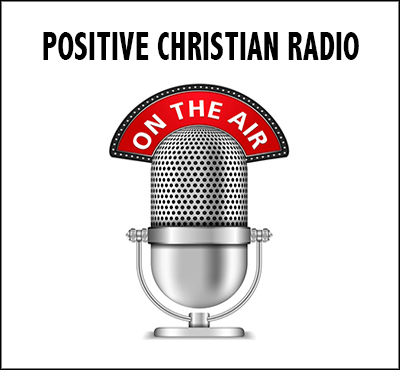 If you want to listen to positive podcasts, visit Positive Thinking Podcasts, Positive Christian Podcasts, and Positive Downloads. 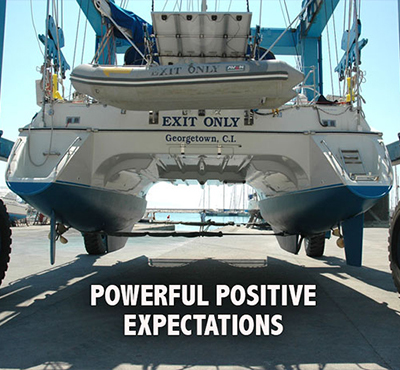 If you want to experience the power of positive expectations, visit Law of Expectations, Powerful Positive Expectations, and Power of Positive Expectations. 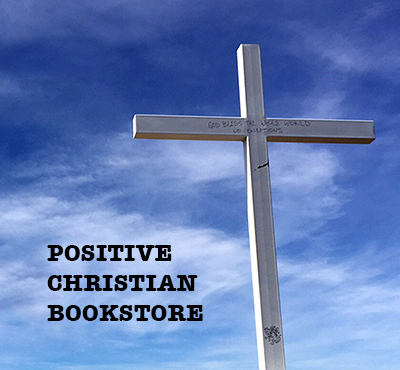 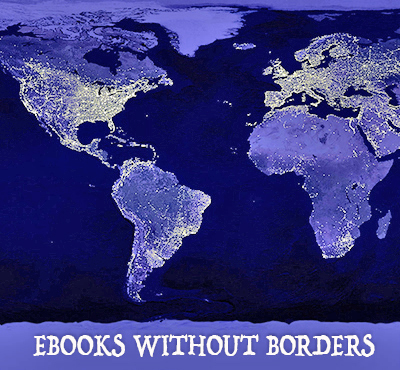 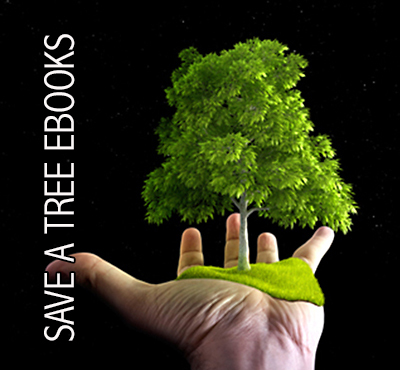 If you want to get positive eBooks, visit Positive Bookstore, Positive Thinking Bookstore, and Positive Christian Bookstore. 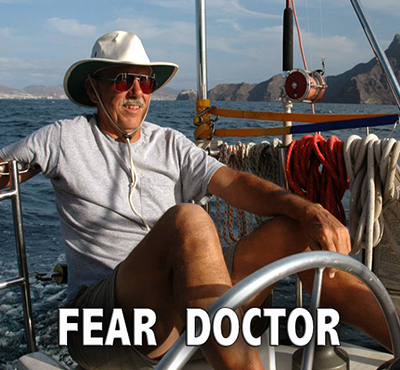 If you want to chase fear from your heart and mind, visit Fear Is A Liar, Fear Doctor, and Not Afraid Anymore. 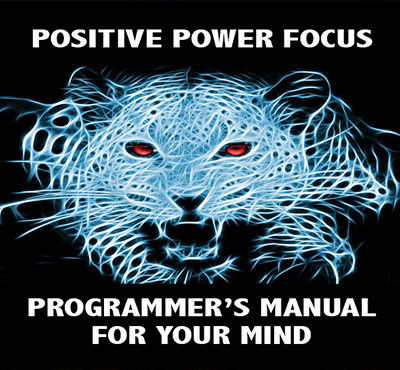 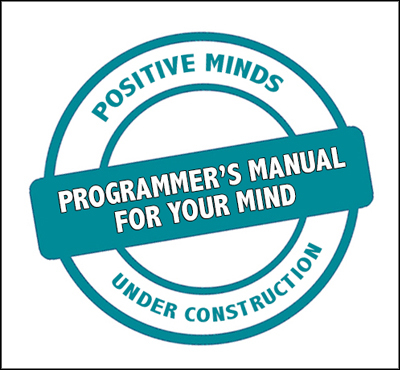 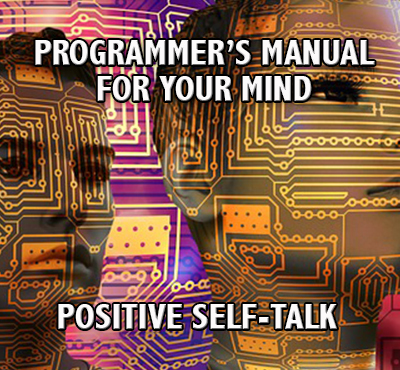 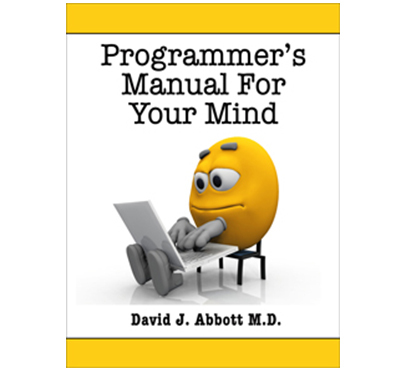 If you want to learn how to program your mind with a positive operating system, visit Programmer's Manual for your mind. 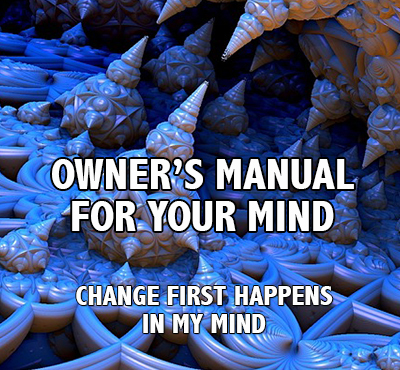 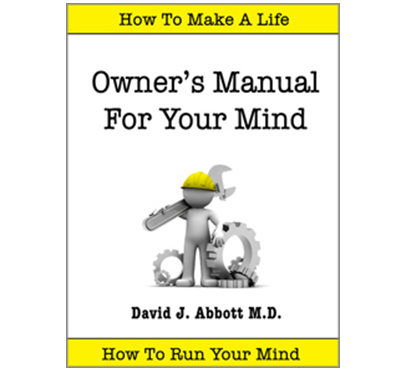 If you want to learn how to run your mind, visit Owner's Manual For Your Mind. 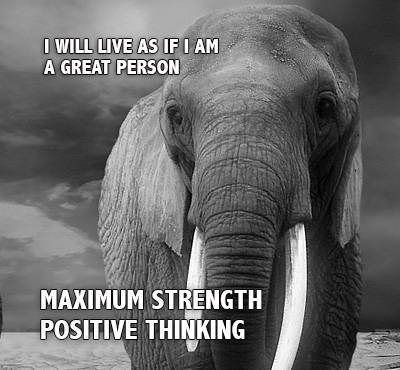 If you want to discover the mother lode of positive self talk, visit Maximum Strength Positive Thinking. 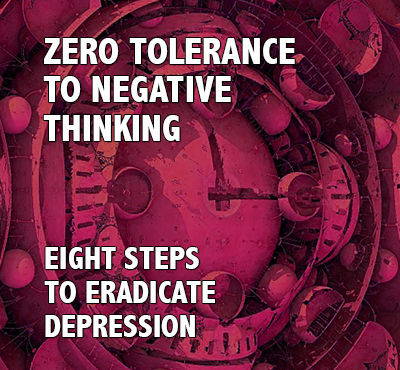 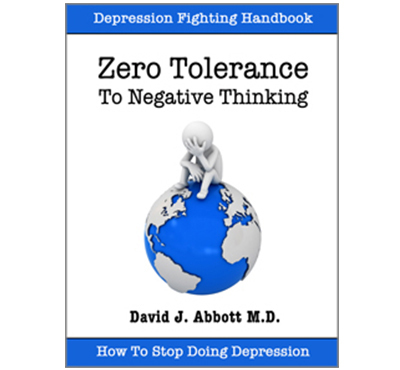 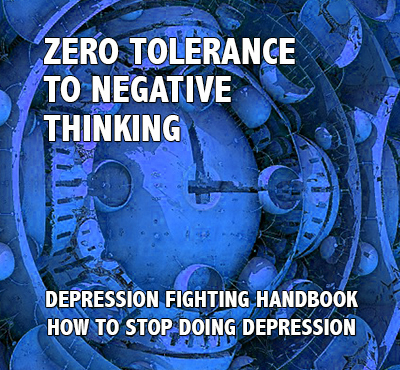 If you want a depression fighting handbook and to learn how to stop doing depression, visit Zero Tolerance To Negative Thinking. 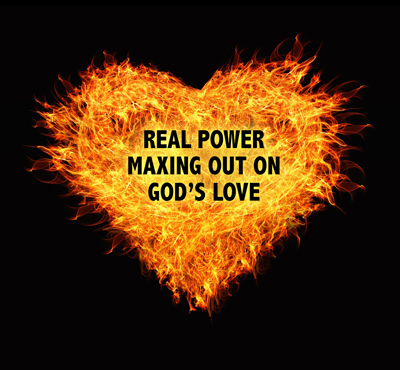 If you want to connect with the most powerful force in the universe, God's Love, visit Real Power Maxing Out On God's Love. 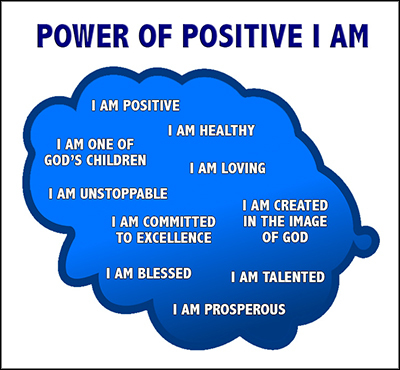 This list is just the tip of the positive iceberg. 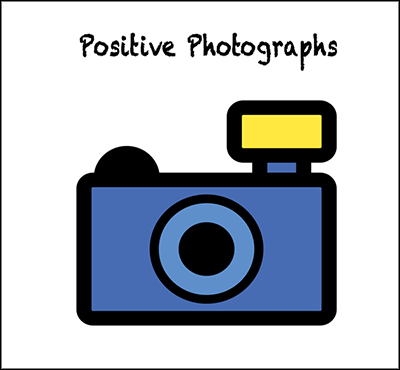 The Positive Zine literally has something positive for everyone. 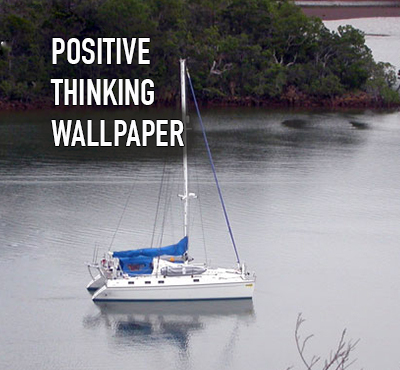 Positive inspiration is just a click away. 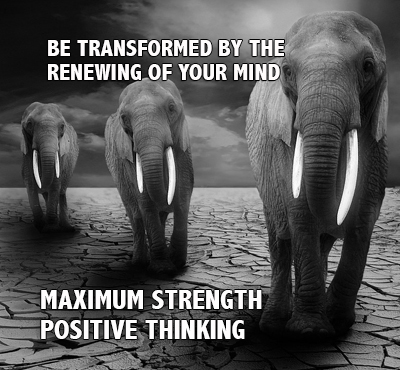 It's time for you to get a new way of thinking and feeling. 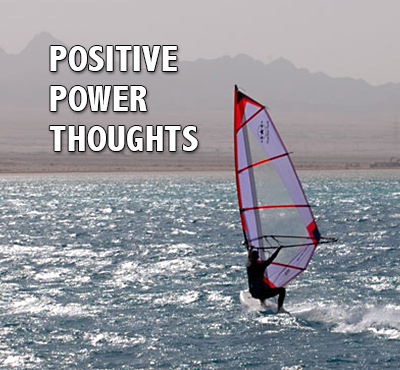 If you want to be positive, nobody can stop you. 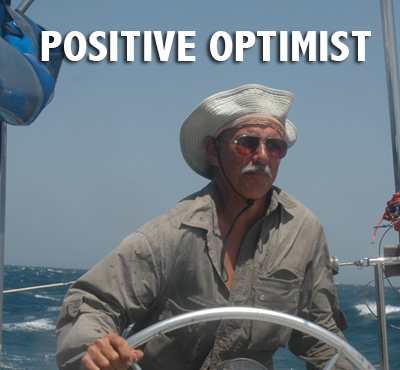 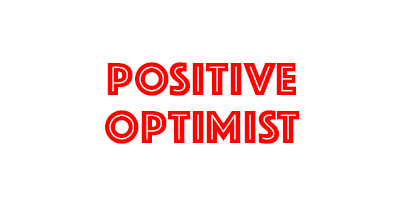 Optimists have positive expectations. 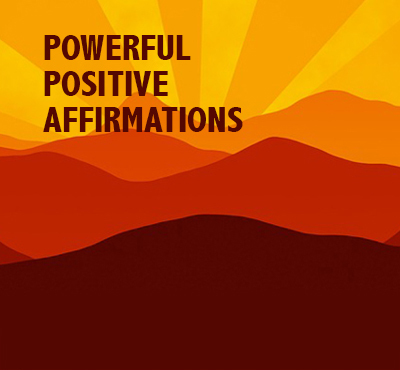 They believe good things will happen, and they expect positive outcomes. 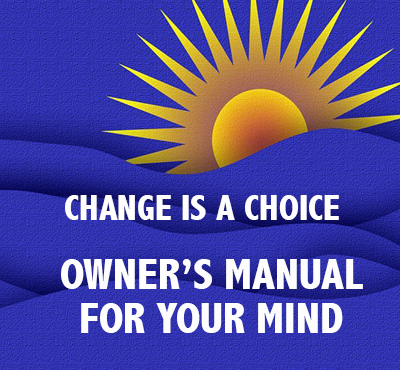 You don't get what you want. 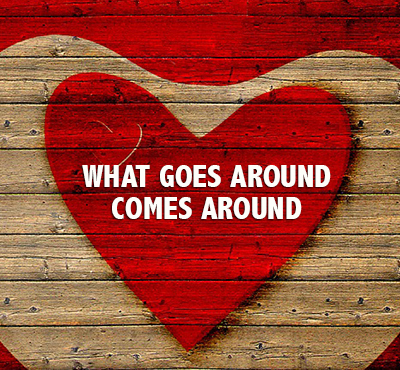 You get what you expect. 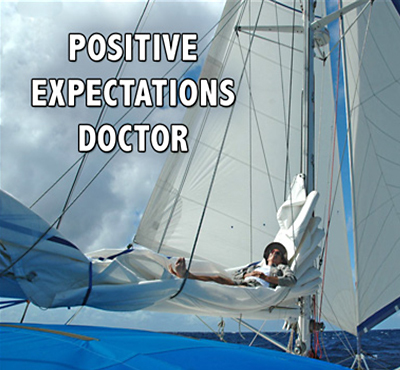 It doesn't matter whether your expectations are positive or negative, you still get what you expect. 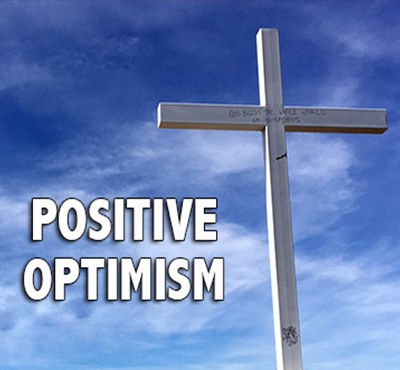 Your entire life is forged in the fire of expectations, and those expectations must be positive if you are going to live your dreams. 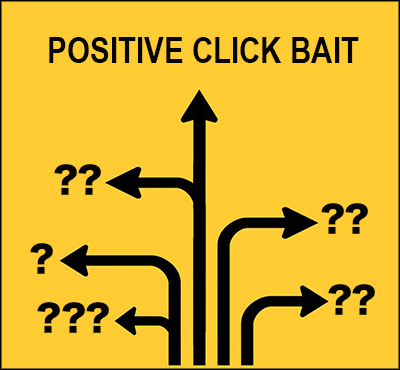 Your search for high grade click bait is over. 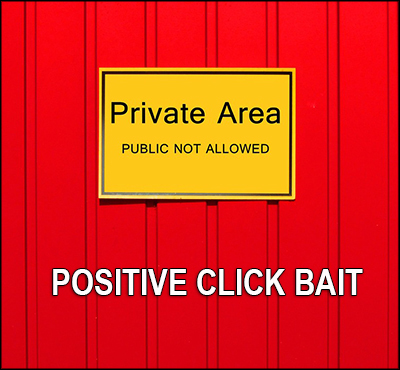 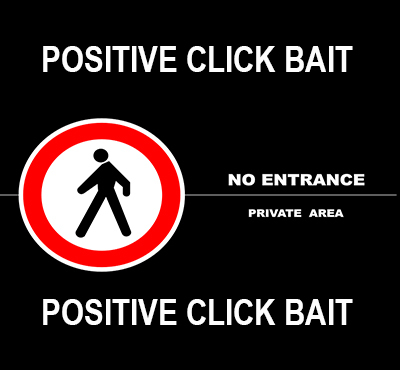 You have arrived at your destination, and the holy grail of click bait is in your grasp. 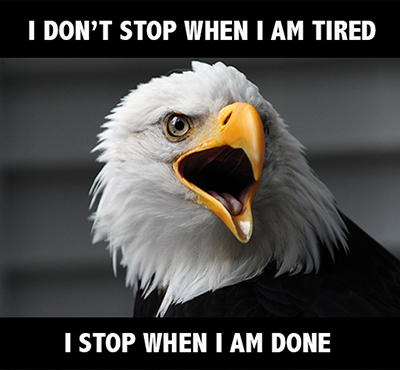 So let's get started! 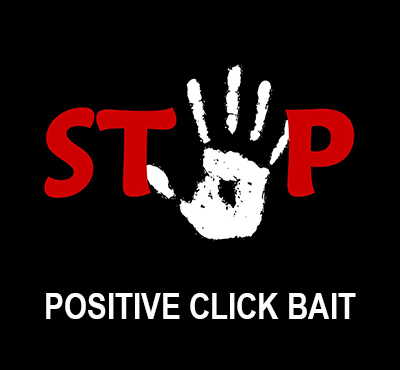 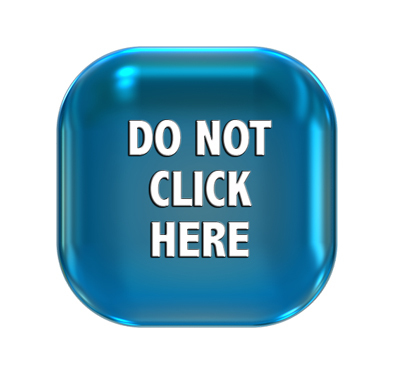 Every click takes you to a real life story that is fun to read and actually makes your life better. 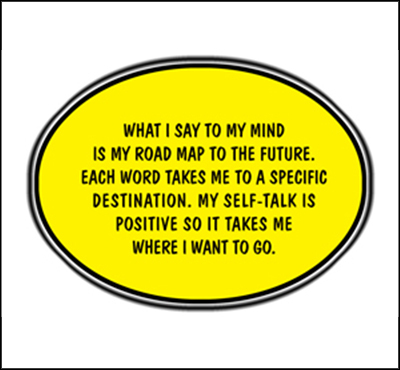 You must know what to say when you talk to your mind and what to say when your mind talks to you. 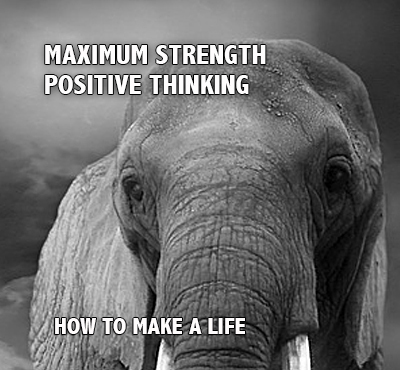 You have a lot of things to discuss with your mind, and Maximum Strenght Posistive Thinking tells you what you should be talking about. 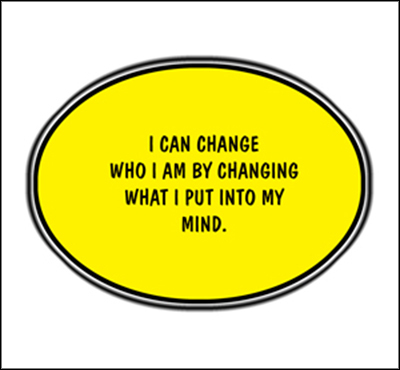 Although the wheel of change turns slowly, it always turns in the direction of what you put into your mind. 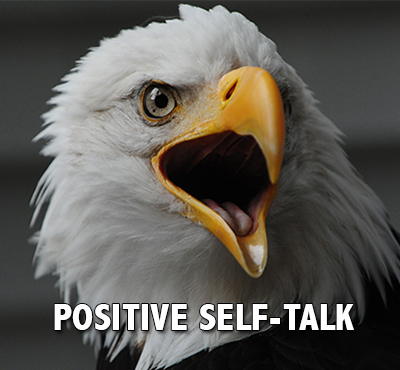 It's time to use positive self-talk to turn your life in a positive direction. 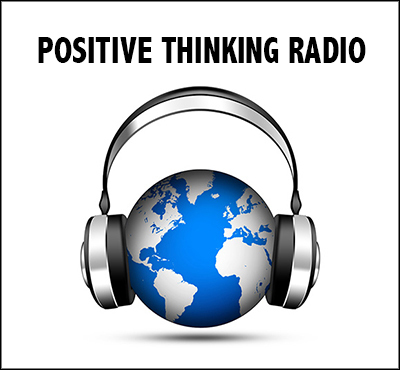 You have lots of things to discuss with your mind, and PositiveThinking Radio tells you what you should be talking about. 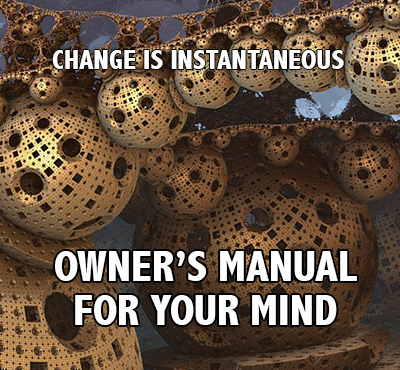 Our format is simple and our message is clear. 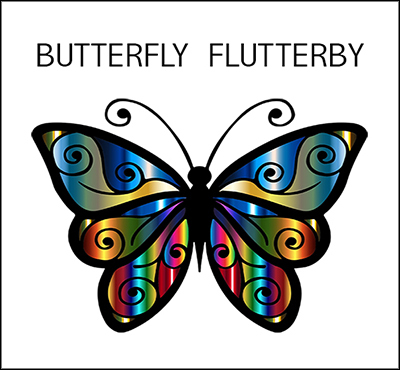 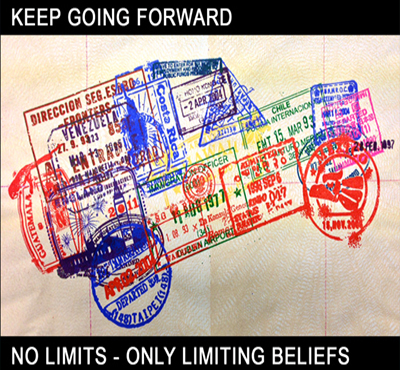 It's time to shed your limiting beliefs and to start living your dreams. 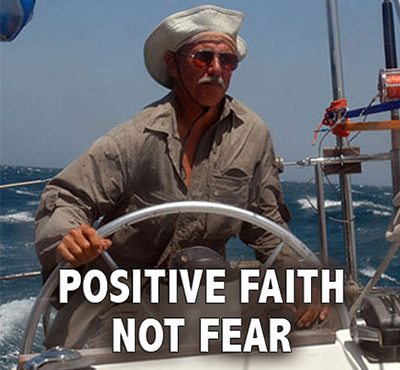 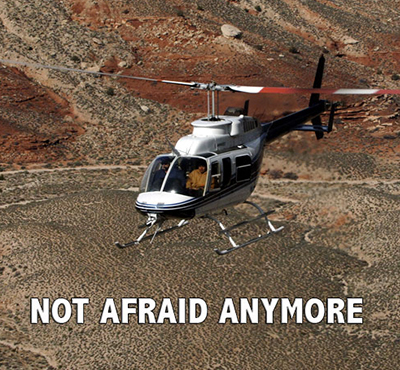 Everyone gets afraid, but not everyone lets fear control their destiny. 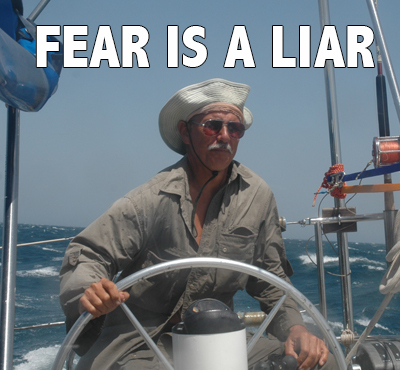 Your job is to feel the fear, and do it anyway. 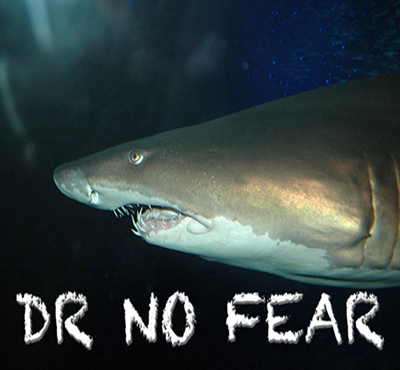 If you never feel the icy grip of fear in your life, you probably are not living your dreams. 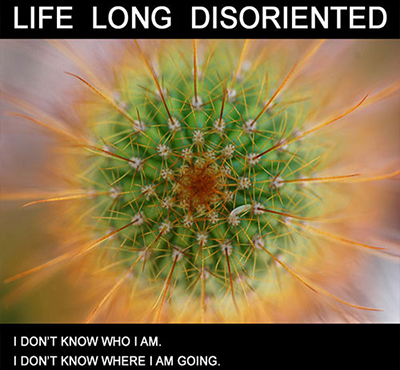 Doers of Dreams have a familiarity with fear that the Life Long Disoriented never know. 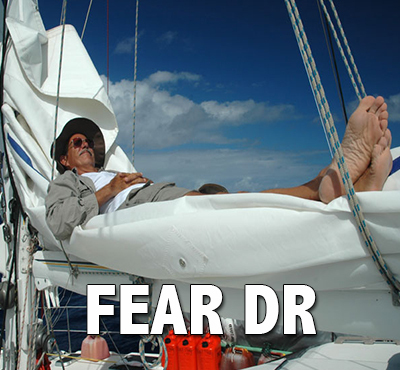 You will never make your dreams come true unless you learn how to deal with fear in a constructive manner. 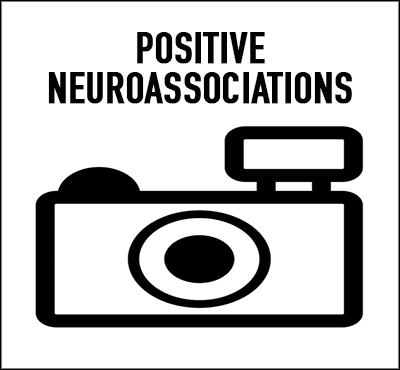 Your brain is an affirming machine that affirms the negative just as easily as the positive; it affirms the bad just as easily as the good. 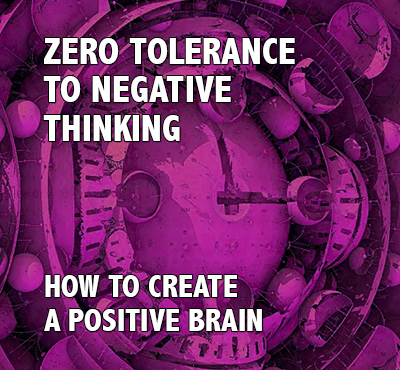 Your brain is positive about many things that are factually untrue, and when you are positive about the wrong things, your positive thinking actually gets you into trouble. 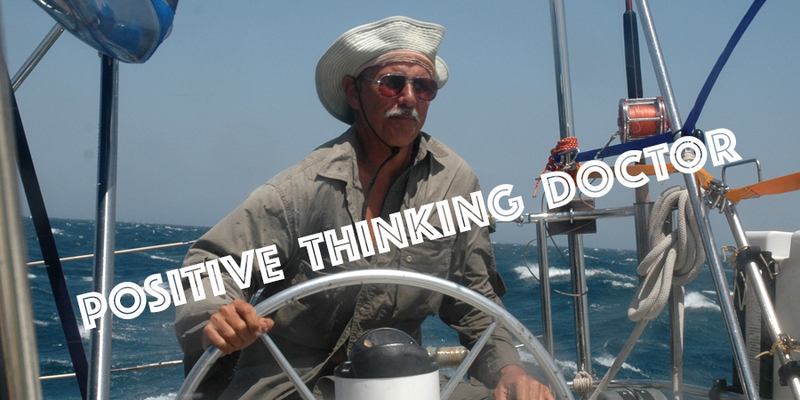 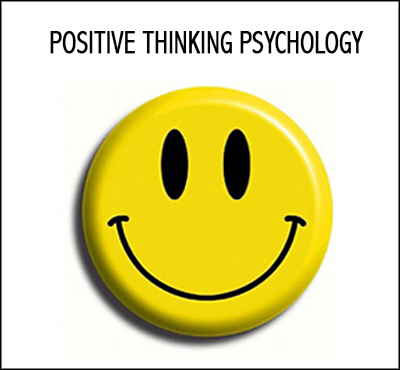 Positive Thinking Psychology shows you how to use positive thinking to make your life better. 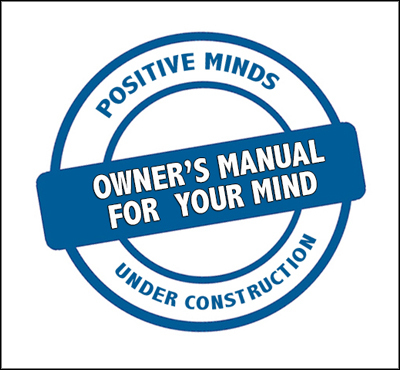 What you put into your mind affects the chemistry of your brain. 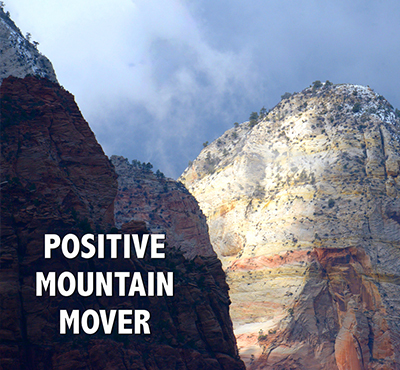 When you put in positive things, you push the chemistry in a positive direction. 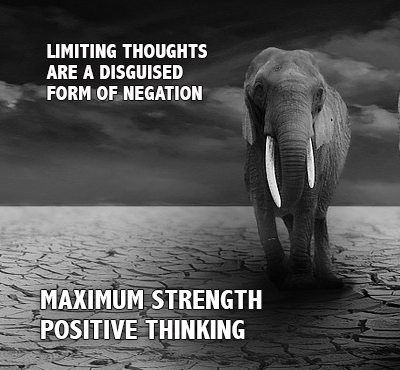 When you put in negative things, you push it in a negative direction. 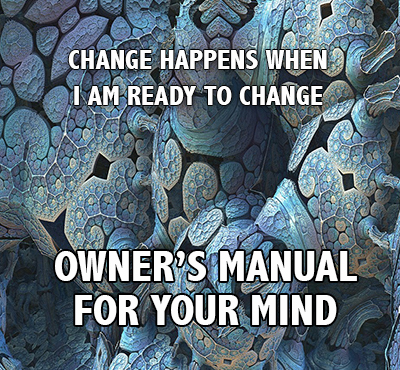 You are not the victim of your brain chemistry. 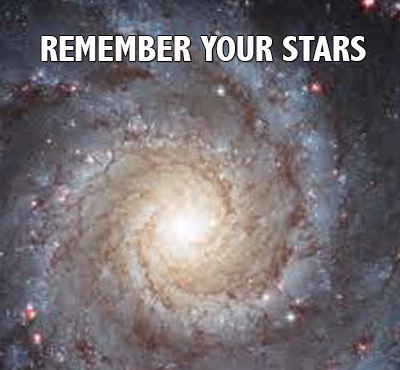 In a very real sense, you are its creator. 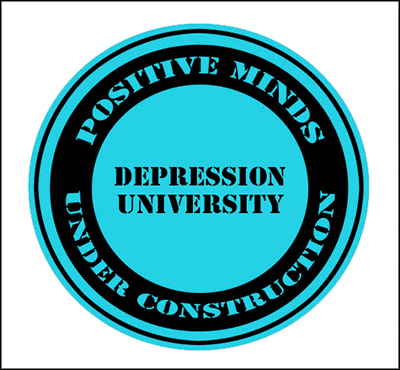 Visit Depression University and create a positive brain chemistry that makes your life better. 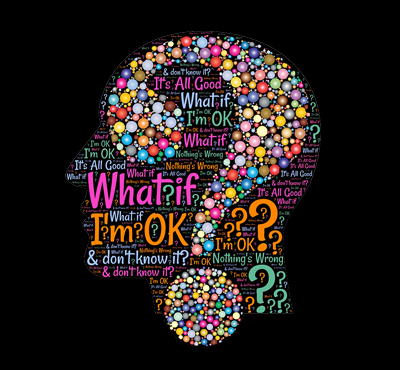 Don't believe everything you hear when your mind talks to you. 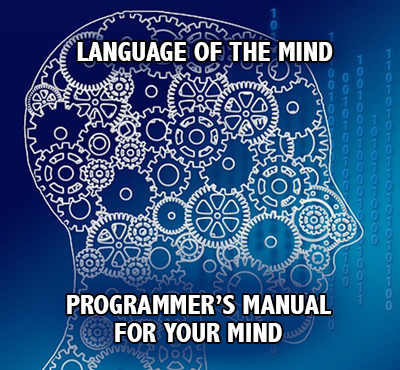 Your mind is always in replay mode, and much of what it says is frankly wrong and out of touch with reality. 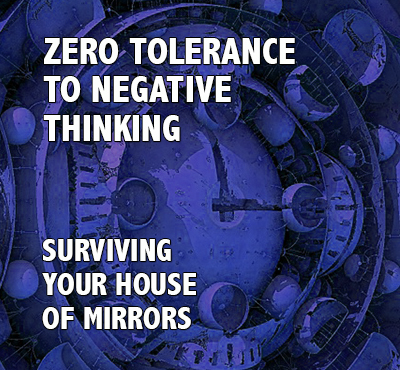 What your mind says to you is merely a reflection of what you have previously allowed inside. 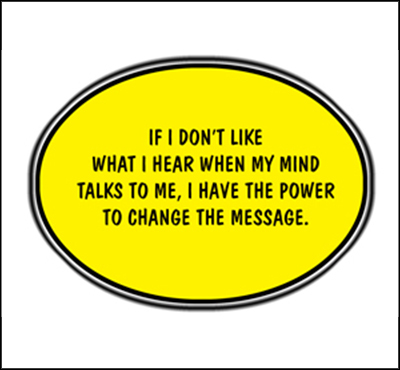 If you don't like what you hear when your mind talks to you, you have the power to change the message. 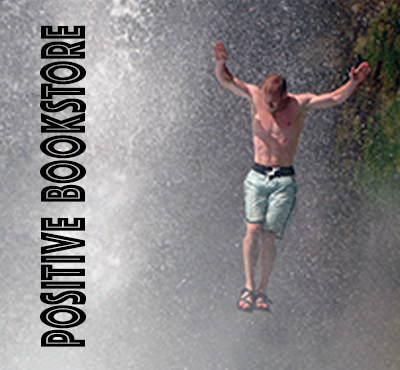 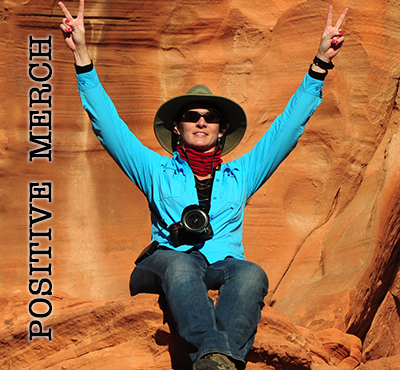 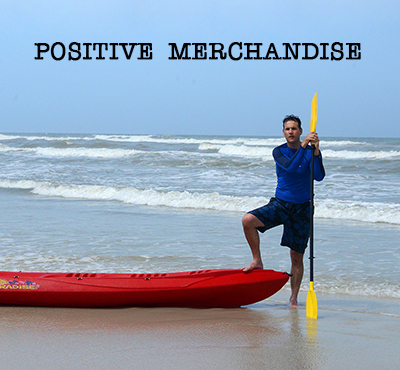 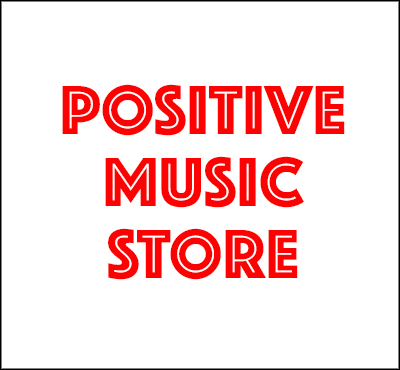 Give yourself a piece of your mind at the Positive Thinking Bookstore. 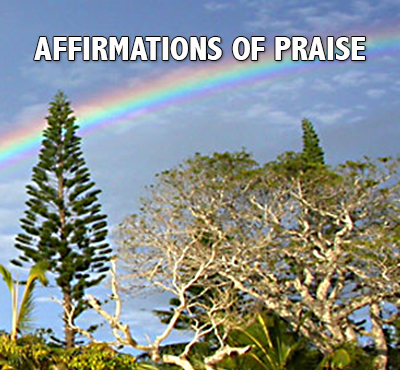 Your life is forged in the fire of expectations. 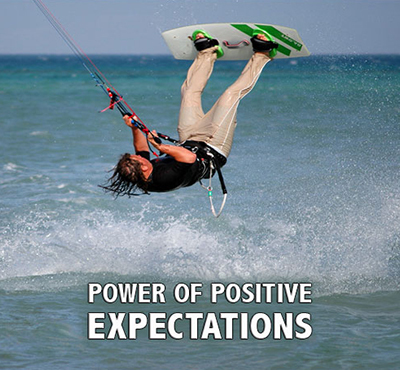 It does not matter whether your expectations are positive or negative, you still get what you expect. 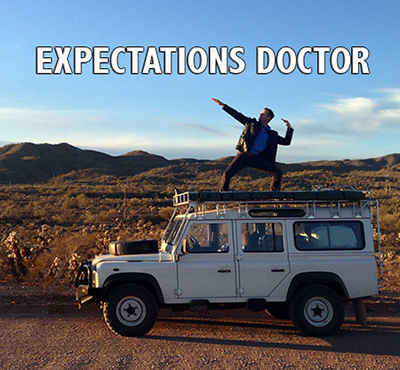 The Law of Expectations states, "You don't get what you want, you get what you expect." 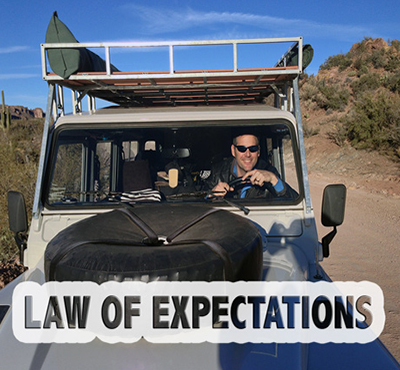 The Law of Expectations rules your world. 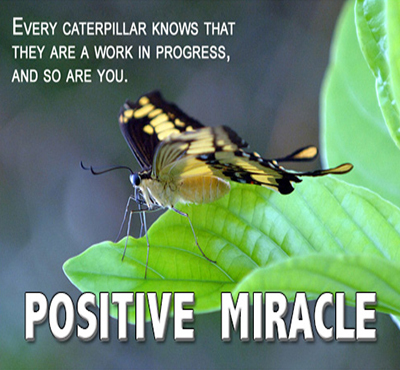 That's why your expectations must be positive. 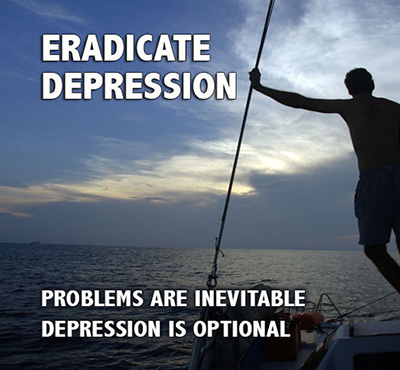 Cures are great when you can find them, but in the real world cures are few and far between. 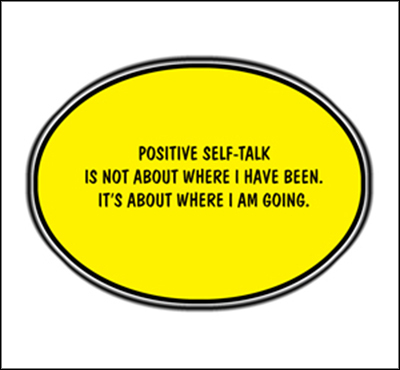 Getting better is an entirely different thing. 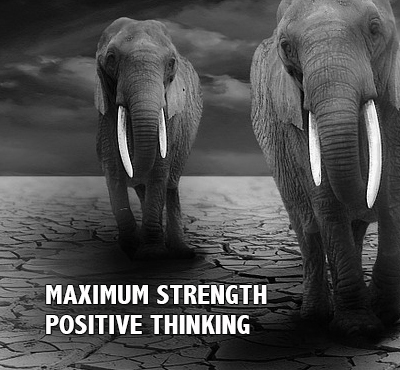 Even when there is no cure, getting better is always possible at many different levels. 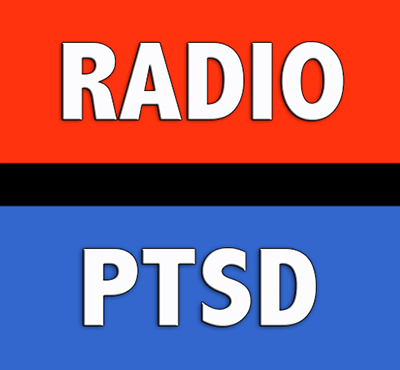 I don't think about PTSD in terms of discovering a cure. 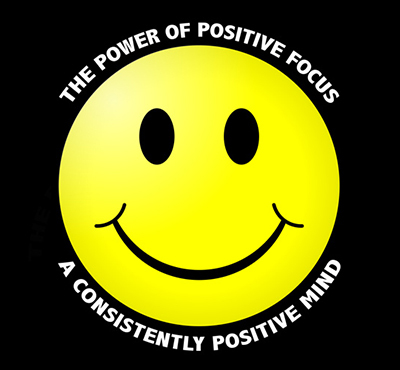 My focus is on getting better because anyone who is still breathing can get better. 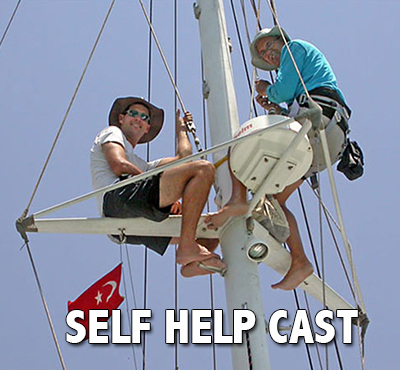 Self-help is not the creation of man. 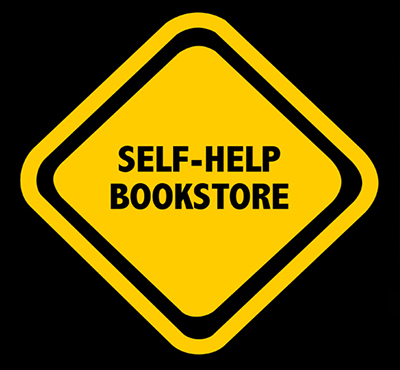 Self-help is the creation of God, and it's built into the fabric of the moral universe. 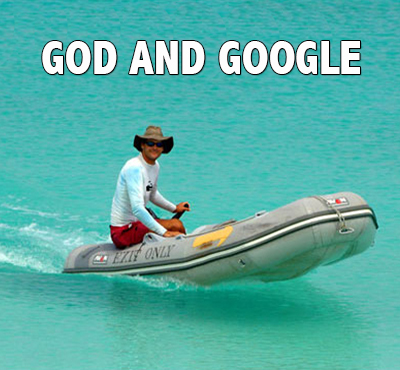 There is no mystery here. 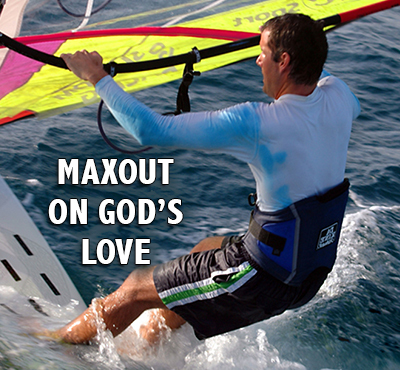 If you do your part, God will do his part, and amazing things will happen. 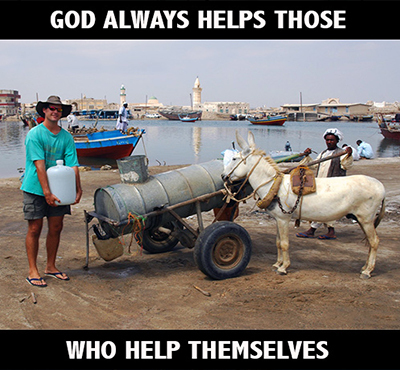 But first you must do your part so that God has something to work with. 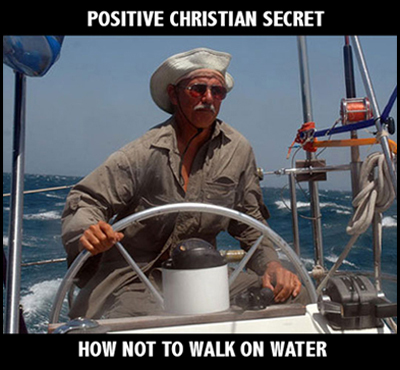 When you work like everything depends on you and trust like everything depends on God, you have discovered the secret of self-help. 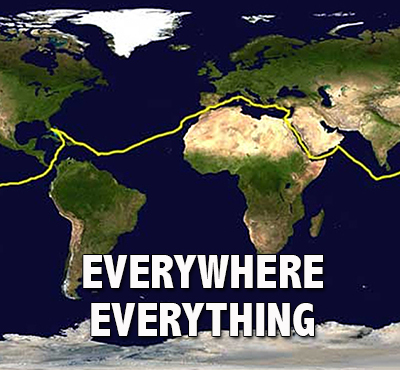 If you don't have a space shuttle, if you can't afford a yacht, if you don't like to fly, you can still make a trip around the world. 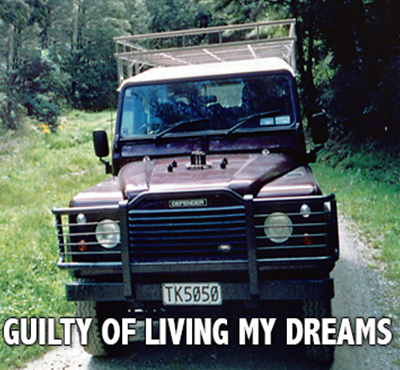 You simply climb into your truck, start driving, and don't stop until you complete the trip. 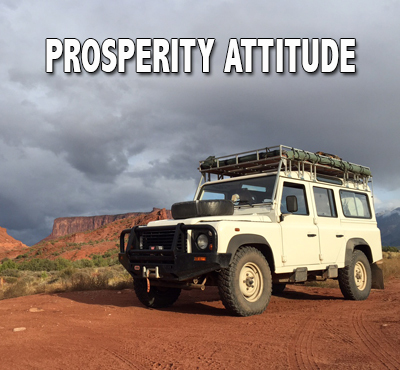 You'll need a couple of years and some Freedom Chips to finance the adventure, but you can make it happen. 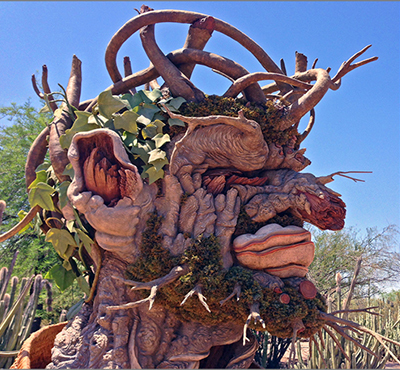 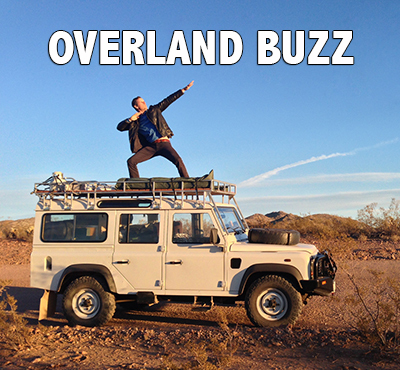 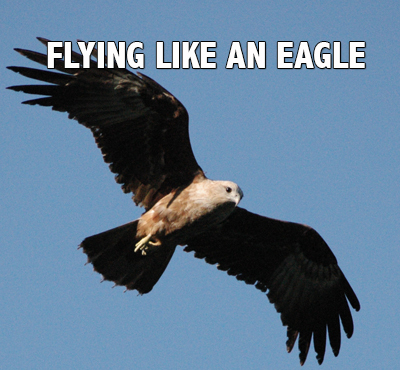 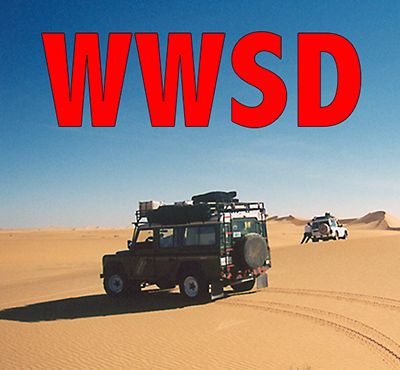 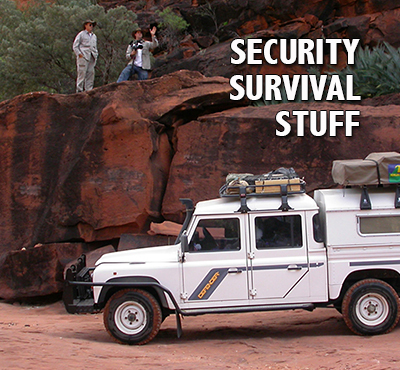 Travel with us around planet earth on Overland UNI, and before long you might decide to make your own trip. 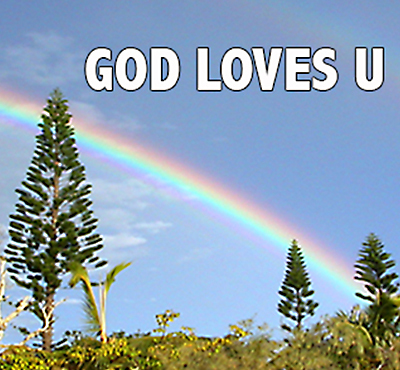 God is love and works by love, and by nothing else than love. The power and presence of God in your life is love .Every time you see love, you see God's hand at work. 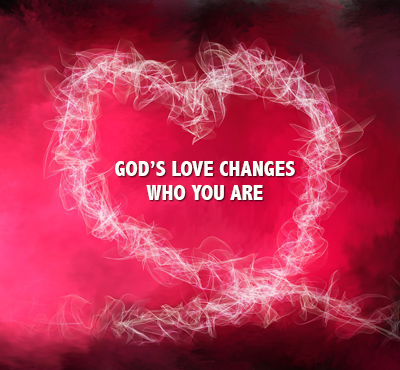 Every time you feel love, you experience God's presence and power. 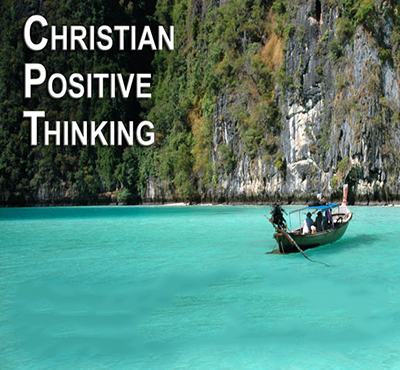 When your mind is full of thoughts consistent with God's love, your mind is exactly the way God means for it to be. 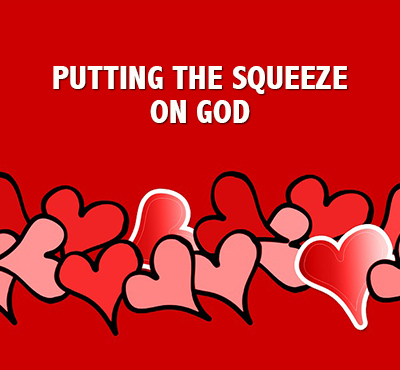 When your heart is full of emotions consistent with God's love, your emotions are healthy, and they are exactly the way God means for them to be. 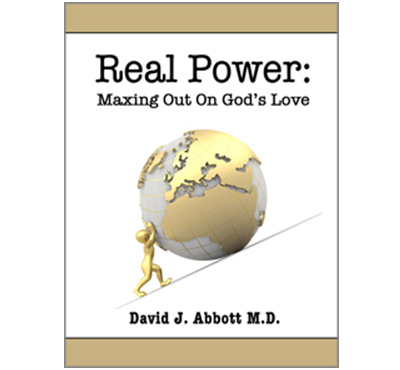 There is no limit to how good your life can become when you open your heart and mind to the power of God's love. 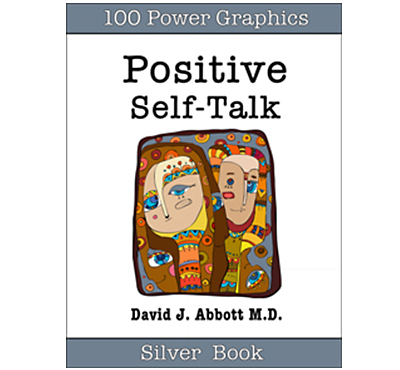 Maximum Strength Positive Thinking contains more than 100 Power Graphics that speak the language of the mind. 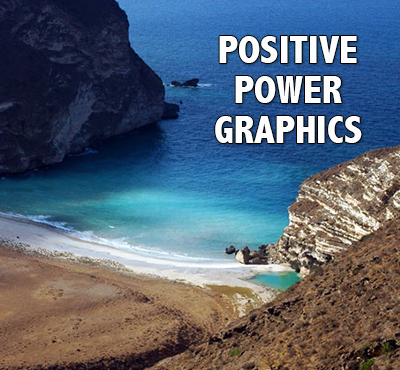 The Power Graphics go directly into your photographic memory. 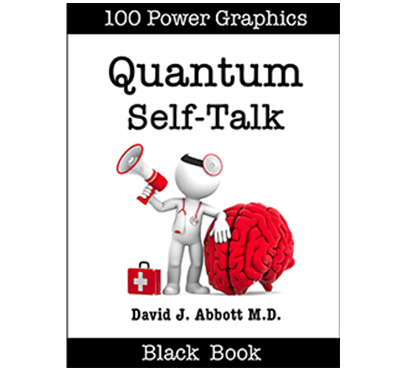 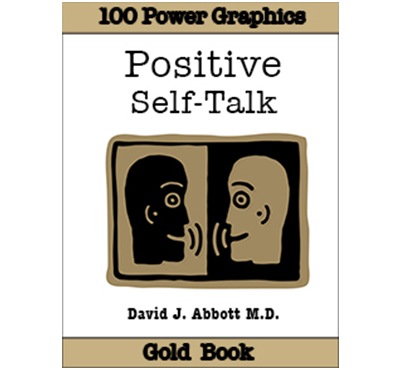 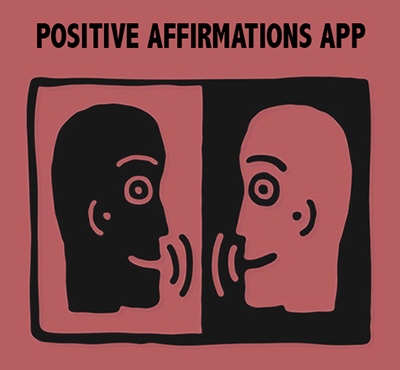 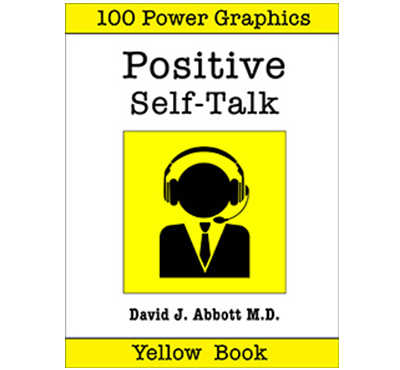 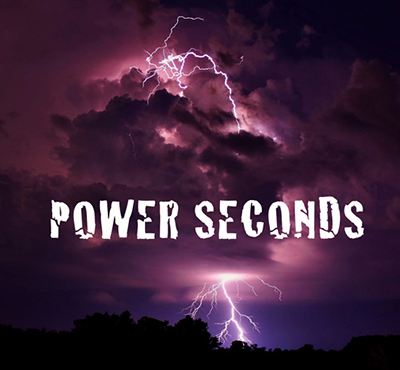 Positive self-talk puts good things in your mind one way, and Power Graphics do it in another. 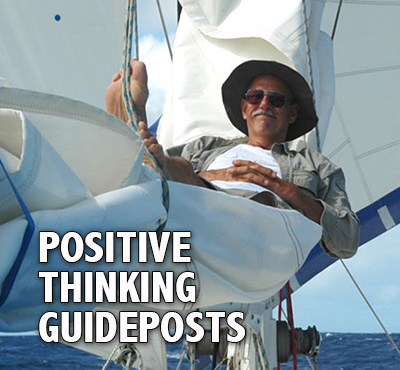 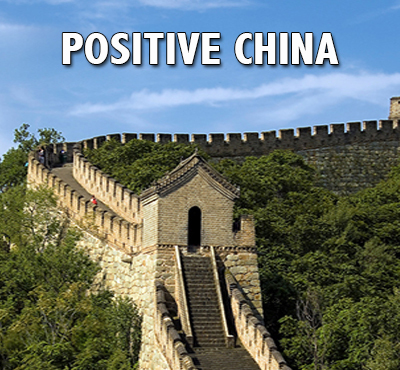 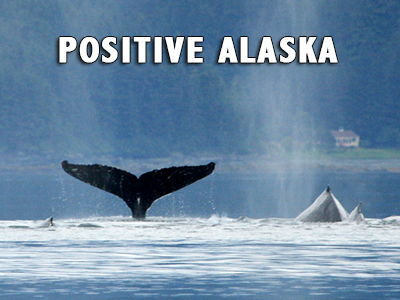 Together they offer a double dose of positive thinking that pushes your inner voice in a positive direction. 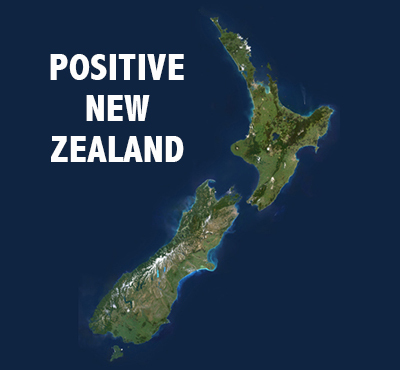 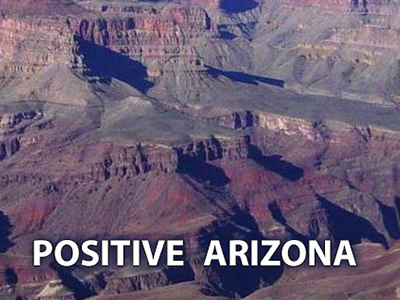 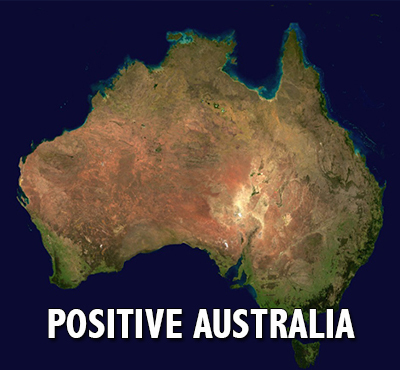 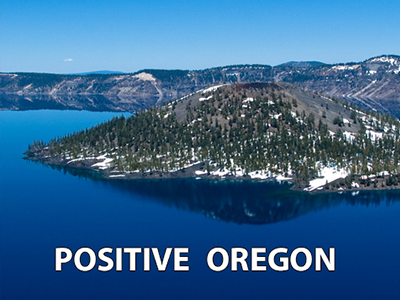 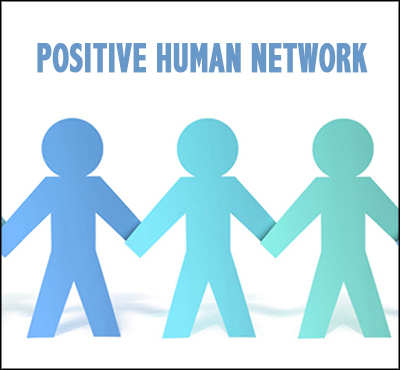 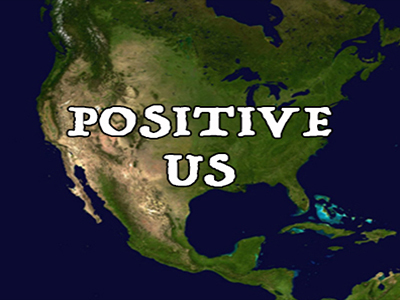 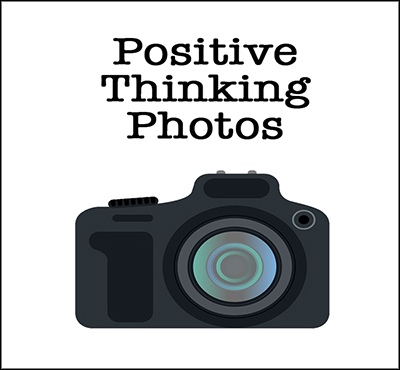 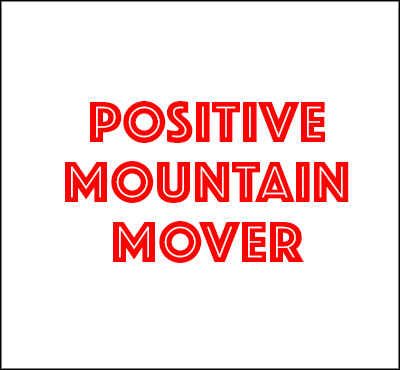 The Positive Thinking Network has a major social media presence. Discover a positive social media experience by visiting our positive pages on facebook and twitter. 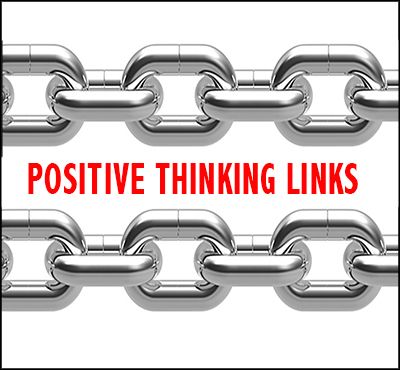 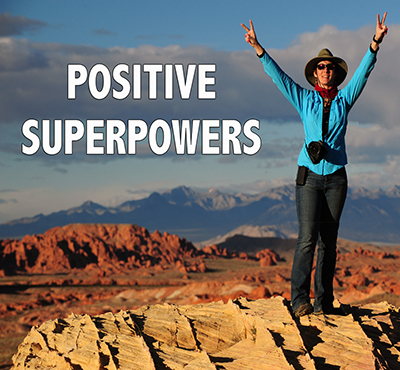 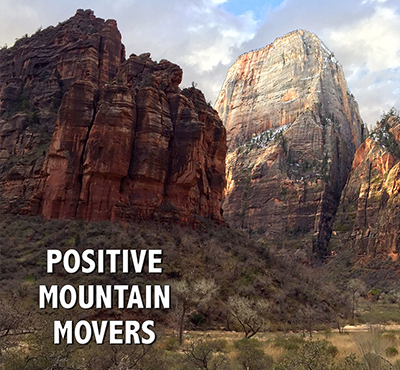 The Positive Thinking Network offers six different ways you can make your life better. 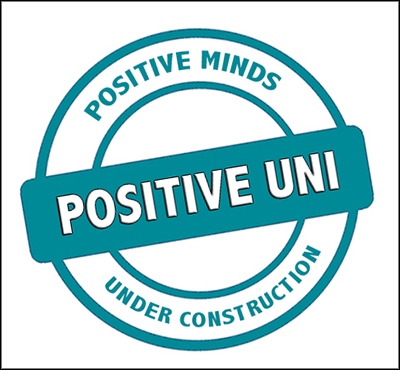 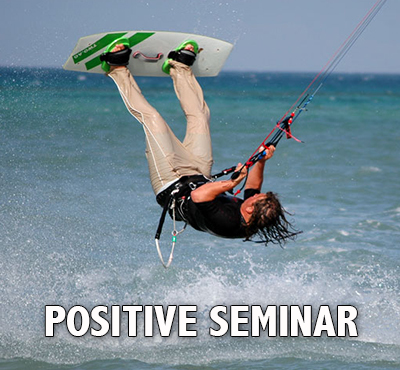 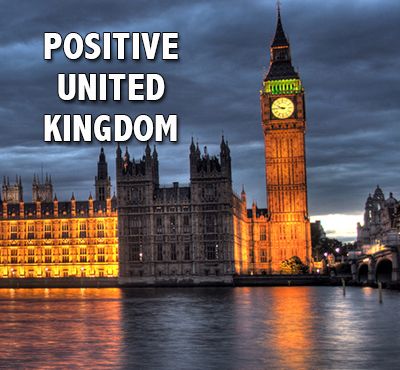 If you are interested in positive thinking, then Positive Uni is for you. 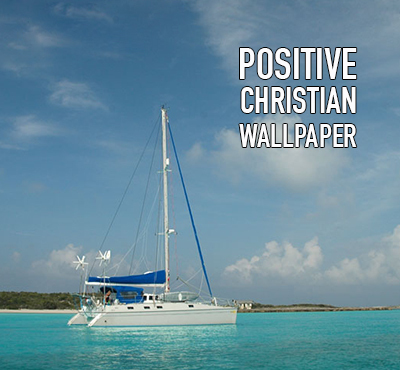 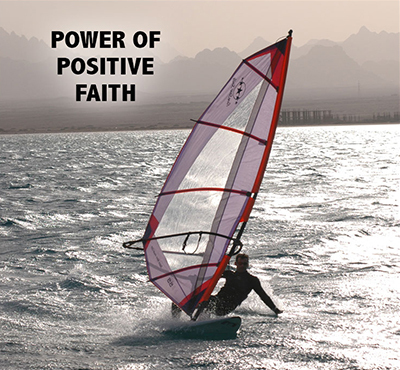 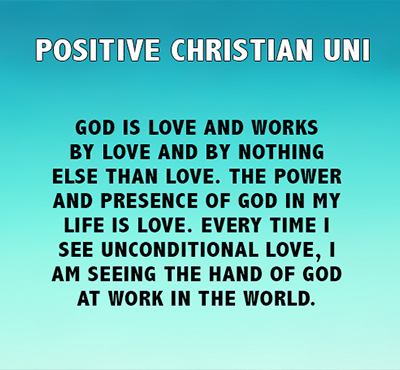 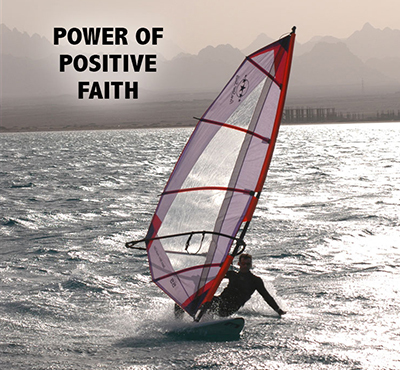 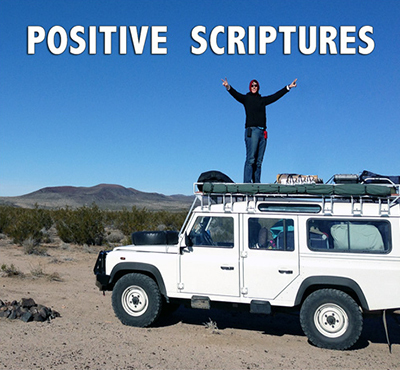 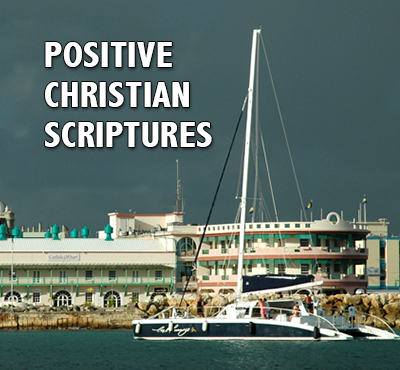 Positive Christian Uni is where positive thinking and positive spirituality meet. 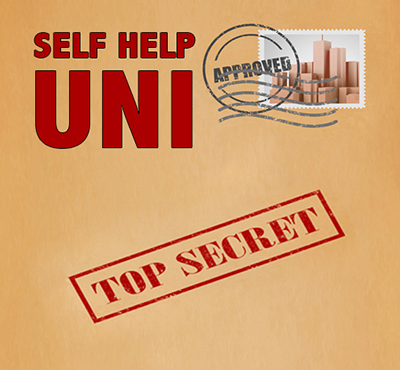 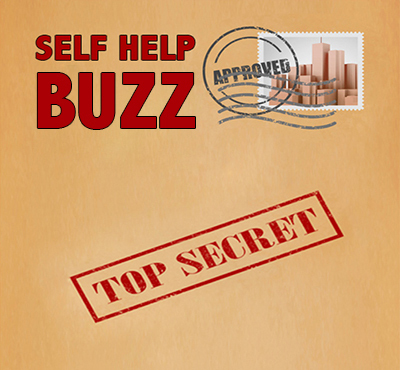 Self Help Uni unlocks the world of self help. 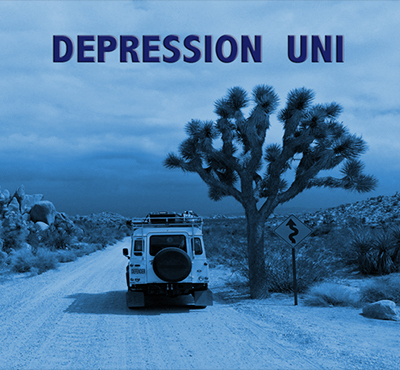 Depression Uni teaches you how to say goodbye to depression and hello to a positive mind. 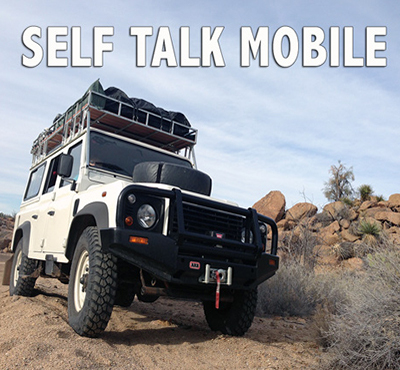 Self Talk Uni teaches you what to say when you talk to your mind. 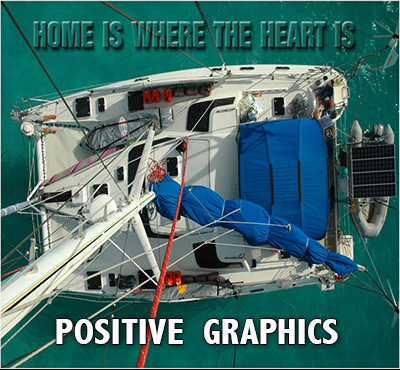 Positive Graphics has videos that can be enjoyed by the entire family. 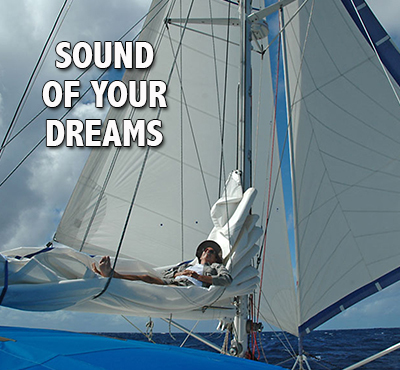 Our goal is to inspire you to live your dreams. 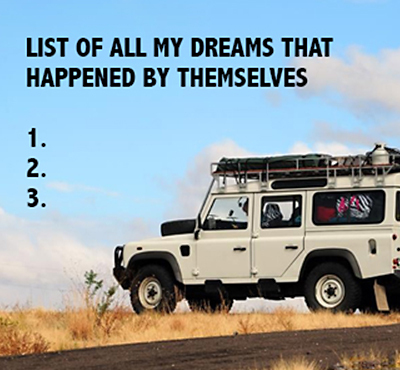 Our inspirational videos launch dreams on a daily basis. 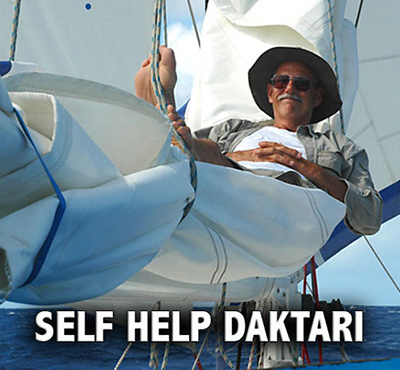 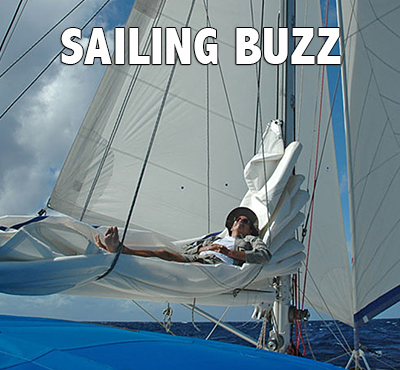 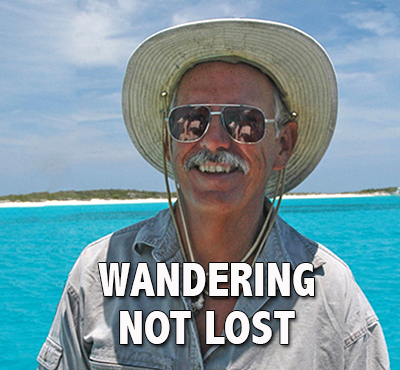 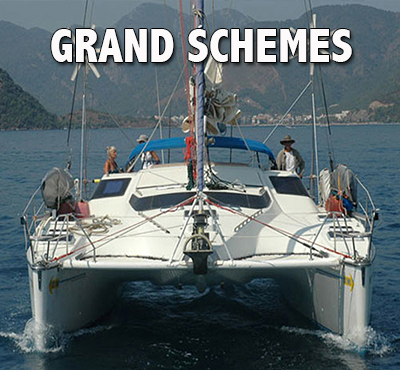 Dr. Dave and Team Maxing Out have launched the sailing dreams of hundreds of individuals with videos of their adventures on board their catamaran, Exit Only. 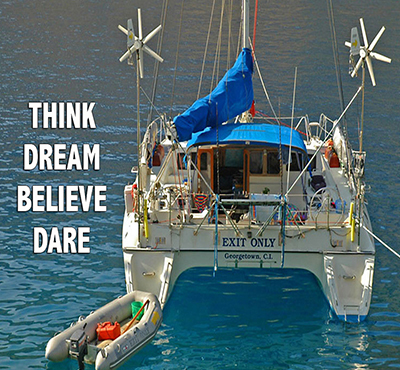 It's time for you to dream BIG and to live your dreams. 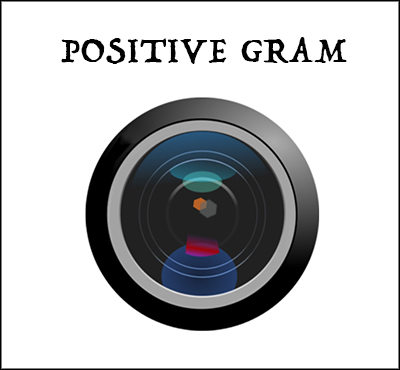 It's easy to have a positive social media experience on the Positive Thinking Network . 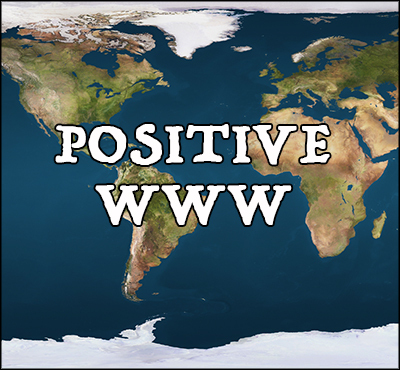 More than fifty facebook pages are updated on a daily basis. 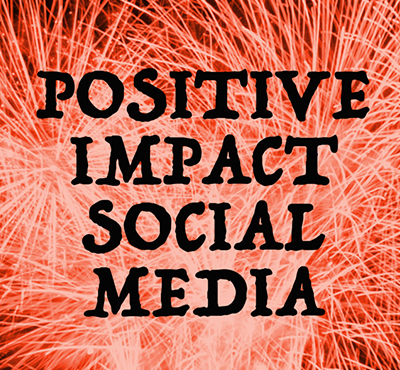 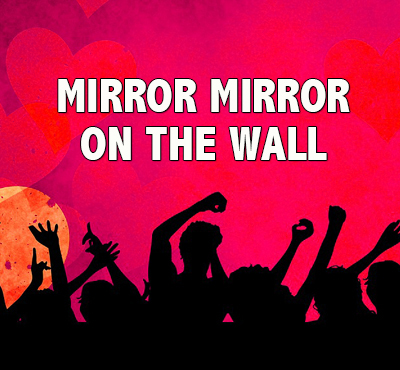 If you like social media, you will love our pages. 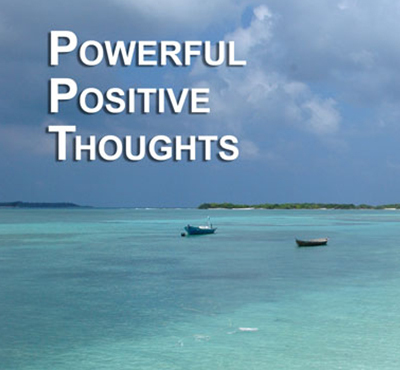 There is no easier way to put something positive into your mind every single day.